Fuel Prices hiked again ! 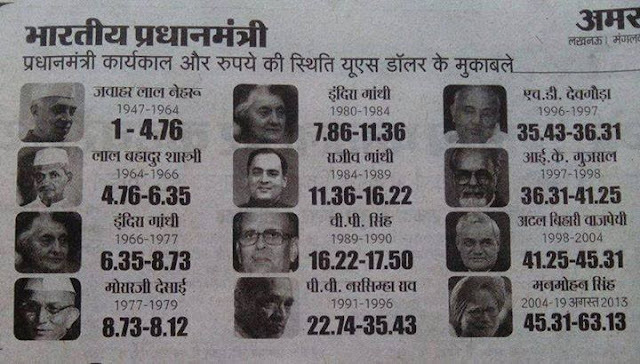 Is it just a fall of Indian Rupee ? And today, our Rupee touched a record low of 68.75. In a reply to Yahoo news, Uday Bhatt, a forex dealer with UCO bank said, " It is just impossible to put any realistic value to the rupee any more". Herald Van Der Linde, Head of Equity Strategy, Asia - Pacific, HSBC feels that India was over - owned by foreign institutional investors as the situation is changing. In an interview to CNBC - TV18, he warned that over - ownership will remain an overhang on India. "The rupee slumped to a record low below 68 per dollar and shares tumbled on wednesday on growing worries that foreign investors will continue to sell out of a country facing stiff economic challenges and volatile global markets," said a news by REUTERS. Let's see what is the next brave & bold step of our Prime Minister & the Finance Minister to control the fall in Indian Rupee. with thanks quotes from various sources. We have to survive, as is where is basis ? Once we encounter a problem, we get a large number of 'innovative' ideas and 'plausible' solutions. But will they be considered by the echelons who matter! All said and done we have to survive, as is where is basis with no serious steps to solve the problem over a period of time. 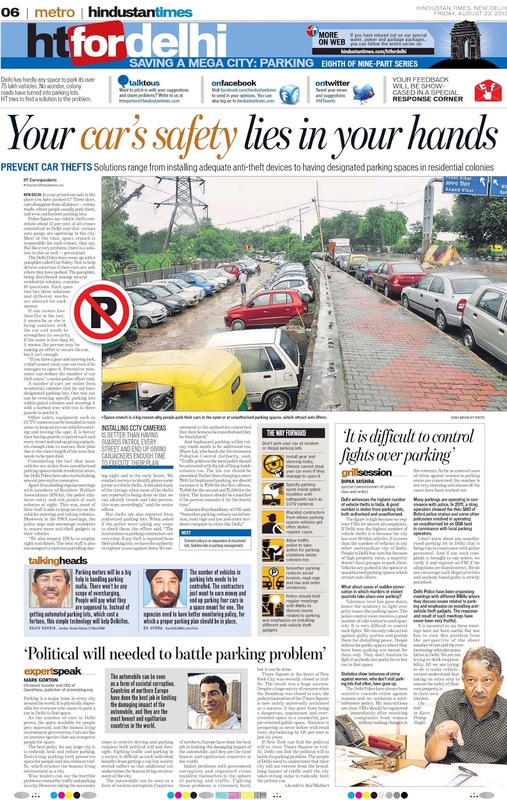 The authorities concerned could not even implement 'simple solutions' to reduce the impact on parking in colonies. Time and again we had approached the authorities concerned to (i) remove all encroachments, including kitchen gardens in front of the residents' houses; (ii) park their cars at the 'parking area' in stilts where available; (iii) enclose the 'open areas' where available with a compound wall and gate for parking purposes and in course of time we may have to surrender small parks and use the service lanes for parking purposes. It is not Japan or Singapore where discipline could be enforced amongst our great Indians. Every child in the family wishes to possess a car as a scale of 'prestige' and nobody wishes to share their cars with friends and neighbours which could also reduce the 'impact' on the road. With escalation in prices of petrol and diesel all such steps have to be taken. Metro and City buses have come in a big way to solve the problem but we perhaps require much more to meet our needs! RWA - North Delhi ! As I was going through this web portal, I couldn't find any entry for RWA-North Delhi. North Delhi has numerous Residential Societies, DDA Residential Complexes and other Residential colonies. There is an urgent need of a mediation Centre in this area as it is acting as a boom for antisocial elements being close to outer Delhi area and Delhi Rural areas. Moreover, Our RWA itself is a problem to its Residents as there is no particular care being taken of Resident's Problems. I am a Member of Swaran Apartments which lacks a proper RWA. An unseen work force looks after its Day to Day routines, which include only services of 4 sweepers out of which 2 work for common areas and 2 lady sweepers collect from Houses. There is no facility of an Electrician, Plumber, Watchmen ( resulting in thefts recently). I wish that the RWAs associated with this portal should communicate with RWAs of this area and let them also enjoy the benefits of the Bhagidari Schemes launched by Delhi Government. 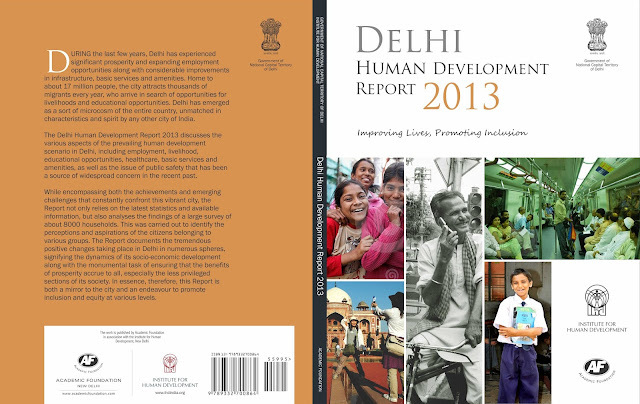 Together only, we can make Delhi a better place for living. Thanks for your mail. Bhagidari is the most prestigious scheme of Delhi Govt & if you are not registered with it, please contact the Bhagidari cell of Delhi Govt at Delhi sachivalay. Labels: RWA - North Delhi ! Monga medical centre, Krishna nagar invites all to a Sugar (diabetes) detection and awareness camp on Sunday 25 th August at Raghunath Mandir, Krishna nagar at 8 am. Main speaker will be world-renowned diabetologist Dr A K Jhingan. Free blood sugar estimation will also be done. One family, One car rule ! “It’s time to impose one car, one family rule in Delhi,” said BS Vohra of the East Delhi RWAs Joint Front. Ensure “Right to Water” along with “Right to Food”. § NPAWP demanded water security alongwith Food security and claimed to ensure 70 lpcd (litres per capita daily) free of cost water (10 Kilo-litres to every household in a month) to all without discrimination; that is essential to live life with dignity and to guarantee comprehensive food security program. § NPAWP demanded to revive ‘Piao’ (Water kiosk)/ water standpost culture so people at street can get free drinking water of high quality. § NPAWP also demanded to cancel water privatization scheme and roll-back water projects under PPP. § NPAWP questioned Delhi Government on withdrawing the public friendly scheme ‘Life Line Water’ benefit which was provided in 2004 and stopped in 2010 in a non-transparent manner (under which 6 KL free of cost water was provided by the government to every household per month in Delhi) . § NPAWP is of the opinion that subsidized Food grains under Food Security has no meaning without Water Security as no food can be cooked without water. § NPAWP questioned about high rise in water prices in last decade due to which water has become almost unaffordable to the common people in Delhi. § NPAWP wrote a letter to Chief Minister Delhi demanding Water Security in Delhi. In a letter written to Chief Minister and Lt. Governor of Delhi; NPAWP showed its apprehensions about the food security provisions of the National Food Security Ordinance 2013 which is extremely inadequate, insufficient and inappropriate and it is not the real solution for ensuring food security to the millions of poor and hungry people in the country. NPAWP demanded for ‘Right to Water’ along with ‘Right to Food’ programme that Delhi Government is going to launch on 20th August. Food and Water are inextricably linked. Water is as important as food. Food security addresses multiple priority areas. In order to achieve a sustainable and comprehensive food and nutrition security, the Delhi Government must also declare ‘Water Security’ along with food entitlements to all community without any kind of discrimination on the basis of BPL or APL category citizens. Delhi Government is going to launch the ‘Food Security Scheme’ on August 20, the birth anniversary of former Prime Minister Rajiv Gandhi to ensure a “hunger free Delhi”. But on the other hand, Government’s approach towards water is quite disturbing. Delhi Government is privatizing city’s water supply to allow corporate control over water through Public Private Partnership that will lead and result into high water tariffs which would be unaffordable for the common people, while the private corporations will earn huge profits. Mr. S.A. Naqvi, National Coordinator of NPAWP claimed that the increase in water tariffs in last decade was done to ensure profits to Corporate and private companies. Mr. Naqvi said that there are several instances which indicate that private water projects in Delhi are full of corruption and are not sustainable. It is clear that private corporations have no ethical agenda to make water a ‘social good’, rather they have develop markets to make huge profits out of water. We strongly believe that food security can’t be achieved without ensuring water security for the people and water security can’t be possible without de-privatizing the water utility services. The United Nation General Assembly in 2010 recognizes human right to safe drinking water and sanitation. Similarly the UN Human Right Council provides for ensuring water security at the individual and community level. The Constitution of India also has various provisions regarding ‘Right to life’ and ‘Right to health’ which obviously include Right to water. The obligation of the State is to ensure the creation and then sustain conditions congenial to good health, as enshrined in our Constitution’s Directive Principles under Article 21, (Protection of Life and Personal Liberty) of the Indian Constitution under the chapter Fundamental Rights clearly state that “no person shall be deprived of his life or personal liberty, except according to the procedure established by the law”. Article 25(1) guarantees that “everyone has the right to a standard of living adequate for the health and well-being of himself and of his family, including food, clothing, housing, medical care and necessary social services…”. Part IV of Article 38, 39, (e), (F), 42, 47 and 48 provisions provides the right to health. It is clear that right to health cannot be ensured without ensuring right to water. Consequently Food and water are essential elements that all human being must have easy access to fulfill their dietary needs and for an active healthy life. Government must assure water security along with food security to the citizens of Delhi. The NPAWP demands that the Government of NCT of Delhi must provide a minimum quantity of 70 Liters per capita daily (LPCD) drinking water free of cost to each in a family in Delhi to ensure the water security along with food security scheme. This will be approximately 10 Kilolitres (Kl) of water to every household every month and this must be declared as “life line water” for the consumption of drinking, cooking, personal and domestic hygienic requirements without any discrimination of rich or poor. In almost every religion, providing water to thirsty people is considered as most pious and religious duty. The NPAWP demands that the Government of NCT of Delhi must reinstate the traditional facility of Water Kiosks (piaos) or public stand posts in different parts of Delhi at convenient locations. The water Kiosks will be meant for poor in the slums, at juggi jhopries, as well as for passerby on the roads to ensure availability of free of charge safe drinking water to the floating population of Delhi as well as to those who cannot afford to pay for water. Water is life and an essential element to food security in order to have good health and good nutrition! Malnutrition is caused by hunger, poor food quality and unsafe water. Water is an inalienable human right and a public trust. Therefore Water is our most precious common resource and is essential for all living beings. NPAWP strongly believes that water is not a commodity and must not be left to the whims of the market because no person or entity has the right to profit from it. Water must not, therefore, be commodified, privatized, traded or exported for commercial gains. Access to safe and sufficient drinking water must be available and affordable for every citizen. National and state governments both are responsible to ensure water services are delivered to all. We all believe that local communities are ‘natural protectors and sustainable users’ of water; not its ‘customers’. Our collective concern is that “Water is a public good and it should remain in public hands. No attempt to control over water should be exercised applied through public private partnership (PPP) in drinking water supply and its distribution”. The privatization or commodification of water is against the spirit of a welfare state, as enshrined in our Constitution. Privatization of water leads to corruption, which in turn increases the financial burden of our citizens. World over, the model of Water Privatisation has miserably failed and now there is a trend of reversing privatization and re-municipalization of water to regain public control in countries such as France; UK; Germany; Canada; Hungary; Finland; Tanzania; Malaysia; Hamilton, Dar-es-Salaam etc. and continued strong resistance to water privatization notably in Italy; Portugal; Greece, Spain, Brazil etc. It is our humble request to stop the process of Privatisation of Water in Delhi to ensure an honest approach for the realization of comprehensive Food Security to the citizens of Delhi. Hence that It is the moral obligation of the Government of Delhi to provide water security to the people of Delhi without any discrimination along with ensuring food security, so that the Father of the nation, Mahatma Gandhi’s dream of “Hind Swaraj” and a “hunger and thirst-free India” can be a reality very soon. It is also requested kindly Roll-out the privatization of water supply; Set up water kiosk (Piaos), water standpost network to ensure the right to water of the community. I have all the blessings for you and your team ! It is really a commendable site, not only forwards the latest news, but also assist the residents of Delhi all over to express their experiences, grievances and slackness on the part of the concerned departments, which has an immediate effect in solving the problems. More interesting is the viewing of wonderful activities by the RWAs in motivating others to follow by pasting photographs in your Blog. So I have all the blessings for you and your team and wishing you all a more wonderful future. 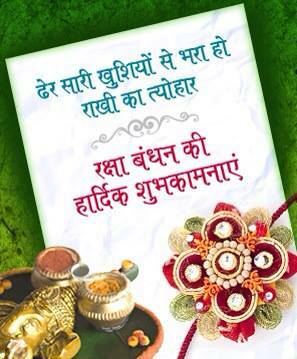 Thanks for your wishings & blessings. NATION HAS CELEBRATED WITH MUCH FAN FARE ON 15TH AUGUST. THE DTC HAS CONSTRUCTED VISHWAS NAGAR BUS TERMINAL AND ROUTE NO 623B STARTS FROM THIS TERMINAL. IT HAS BEEN LEARNT TODAY THAT THERE IS NO POWER AT THIS TERMINAL SINCE 18TH JULY 2013. THE GUARD ON DUTY ARE DOUING THEIR DUTY WITHOUT POWER THEY SLEEP IN OPEN AT NIGHT THERE IS LOT OF MALBA LYING AT TERMINAL WILD GRASS GROWN. THE REASON FOR POWER CUT IS ELECTRIC WIRE HAS BEEN STOLEN AND DTC IS NOW DOING PAPER WORK TO DO THE NEEDFUL. I WILL BE VERY MUCH OBLIGED IF YOU COULD TAKE UP THEIR CAUSE WITH APPROPRIATE AUTHORITIES SO THAT THE POWER COULD BE RESTORED IMMEDIATELY. EARLIER ALSO THERE WAS NO POWER FOR AT LEAST ONE MONTH. Are you getting the Free News Letter from RWABhagidari Blog ? We are sure you have liked the RWABhagidari blog as it's full of current issues that require your immediate attention. In case you are unable to regularly LOG INTO the blog, you can subscribe our FREE NEWS LETTER, that can be viewed directly into your mail box while doing routine work. To subscribe, please log on to www.RWABhagidari.blogspot.in . In the TOP LEFT, there is a box with the heading, " FREE NEWS LETTER ". Please enter your E mail ID in that and click SUBSCRIBE. After that you will be asked to enter a code, just to confirm that you are human & not a computer. In the second step, you will get a Verification E Mail in your mail box, confirming from you that you have subscribed the blog. Just click the confirmation & your subscription will be ON. Plz note, its absolutely FREE and you can unsubscribe it any time. Please note many of those who have subscribed the blog are not getting our regular updates as you have not yet verified the confirmation mail sent to you. If you are the one, who is not getting our Free News Letter, please repeat the process as mentioned in paragraph above. May we request you to forward this link to your friends for subscription. It's just your co-operation that can make us succeed in our efforts of spreading awareness on various important issues. India’s capital is staring at the prospect of blackouts as two power utilities threaten to cut off supplies to a power distribution company run by Reliance Infrastructure Limited unless they are compensated with $590 million owed in late payments. The predicament underscores a rot in India’s power sector after years of rising debts, fuel supply shortages, corruption, red tape and tariffs kept artificially low by populist politics. In the sweltering summer heat last year, the country suffered a mass blackout, affecting an area where 670 million people live. efforts to fix India’s chronic power shortages, which are a drain on economic growth – now at its lowest rate in a decade - and sap the competitiveness of its businesses. Reliance Infrastructure, whose chairman is billionaire Anil Ambani, took over BSES Rajdhani Power Ltd (BRPL) in 2002 in a joint venture with the Delhi state government. It was a rare foray by a private company into the power distribution business, which is mostly controlled by India’s 28 states. BRPL officials say they have helped improve electricity supplies in Delhi since the distribution business was privatised there, but at a big cost to their company. The tariffs they are permitted to charge by a state electricity regulator have risen nearly 70 per cent since 2002, but the cost of buying electricity from generation companies and supplying it has shot up by more than 300 percent, Saxena said. As a result, BRPL now owes $770 million in late payments to more than a dozen power utilities. Two of these, Pragati Power Corporation Limited (PPCL) and Indraprastha Power Generation Company Limited (IPGCL), have threatened BRPL with an ultimatum to either pay up or lose the power, Saxena said. Ironically, both the generators are run by the Delhi state government. The threat means BRPL might be forced to cut power supplies by 25-30 percent for a period of four hours at peak times. general manager for finance at both companies declined to comment, as did a company secretary for PPCL. Many Indians see cheap or free power as a right, not a privilege, and raising tariffs is especially difficult as the country gears up for a general election due by May. with thanks : TRIBUNE : LINK : for detailed news. We are pleased to introduce BLOGGERPRIDE - Blog Directory. Please feel free to Add your Blog in the BLOGGERPRIDE - Blog Directory. Presently they have added various sections as below in the BloggerPride : Educational, Entertainment, Family, Fashion, Health, Musical, Religious, Shopping, Social, Sports & Technical. New Delhi, Aug 14 (PTI) Arvind Gujral was today appointed new CEO of BSES Yamuna Power Limited (BYPL). Gujral, who succeeds Ramesh Narayanan, was the senior vice president of Network Operations in BSES Rajdhani Power Limited (BRPL). He will face the challenge of improving the distribution network of the discom. A BE Mechanical from IIT BHU and a MBA from IIM Bangalore, Gujral has nearly 30 years of industry experience. Is your VOTE really SECRET ????? .......... I SAY NO. The Solution is Simple ..... but will the EC do it ? Bogus Votes is the worst kept Secret ....... as it turns out Delhi has some 15 lakh bogus voters, as per reports most of them Bangladeshi immigrants and also from neighbouring states. Now where do they live ....... my guess is in closely monitored JJ clusters / slums / Tenants in Urban Villages etc. How do Political Parties keep a track of who they voted for ....... SIMPLE ..... through BOOTH wise EVMs. THE FOLLOWING HOLDS TRUE ..... NOT JUST FOR DELHI ...... BUT ALL OVER INDIA ..... and needs to be addressed Urgently. ........ the threat of REPRISAL / INTIMIDATION keeps most such voters of a BOOTH in a BLOCK of 200 Households in line. Intimidation / BULK purchase of Votes on CASTE, COMMUNITY, RELIOUGIOUS lines is real. Like in the old days all the Paper Ballots were first mixed from various Booths of a constituency ..... likewise the EVMs of various Booths of a Constituency should be shuffled so that Political Parties are unable to identify which booth voted which way. With the fear of Reprisal gone, knowing that a Block of Votes cannot be traced to a particular BOOTH of a locality ...... OUR VOTE WILL TRULY BE SECRET. - Local Netas will no longer be able to Buy Bulk Votes. - Political Parties will no longer try to divide Society on Caste, Community, Religious Lines. - Political Parties will no longer indulge in Vindictive activities like diverting funds towards their Vote Banks, ignoring the BOOTH / BLOCK that voted against. - Criminals will no longer get Party Tickets putting a break on Criminalization of Politics. - Restore confidence of Citizens who do not Vote as they feel their vote is wasted because of Bulk Purchase of Votes or cultivated Vote Banks. I write this to invite suggestions and together we can take it up with the Election Commission. I am mailing this to LG Delhi, Delhi Lokayukta, Media Friends, Delhi State Election Commission and Election Commission of India ....... in the HOPE THAT THEY WILL TAKE SUO-MOTTO cognisance and give us a TRUELY SECTERT VOTE. 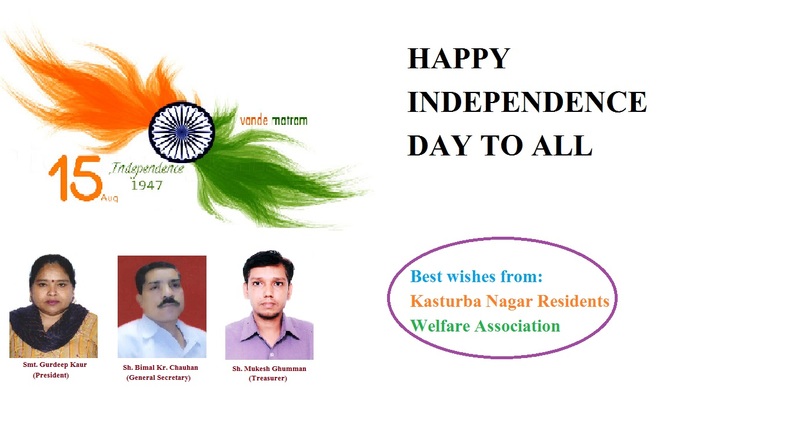 I & my family send greeting to you all on the 67th INDEPENDENCE DAY of our great NATION. We wish, must contribute what we can to make our country strong & capable to fight for its protection / safeguard etc specially when there are any crises of any sort. We need to protract our Nation’s freedom collectively at any cost. We all believe that the future of this great Nation lies with the active participation of each one of us and encourage/educate others who are not so active. We all act and discuss with our politicians to think for the country and rest afterword. Administrator at senior at high status must perform exemplary to run the government judicially in the interest of public. I take liberty to add that CORRUPTION is a dangerous parasite, can damage the complete structure. Have self control & expose the effected person to save whatever others have build the strong building since long. Wishing you all a Very Happy Independence Day and Jo Shaheed Huye Hain Unki Zara Yaad Karo Qurbaani ..... not only on 15th August and 26th January but in every moment of life ...... reminding ourselves, is this the India they have sacrificed for ..... with Independence comes Responsibility ...... THINK, why is it when One person breaks a rule others follow, while not many of us follow the one treading the Right Path. Its time to Introspect ...... what are the duties of an INDEPENTENT INDIAN? JAI HIND. 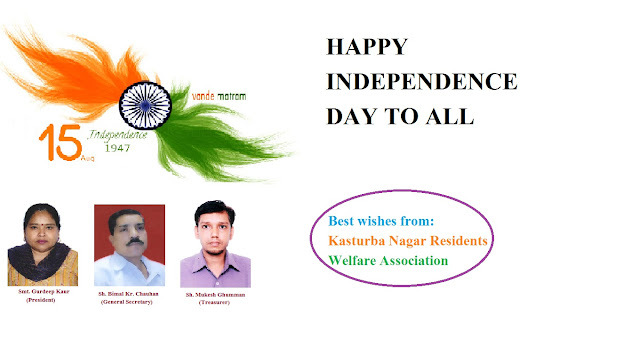 Happy Independence Day : Plz share your message with us ! Before expecting some one else to change let us resolve to change ourselves first, perform our duties and then assert our rights. The correction in the system has to start from within. Let us take an oath that from this independence day onwards we would change ourselves. better FUTURE for ALL of us.. IT IS A DUTY OF ALL OF US !! State claim of cheapest power tariff among metropolitan cities busted. 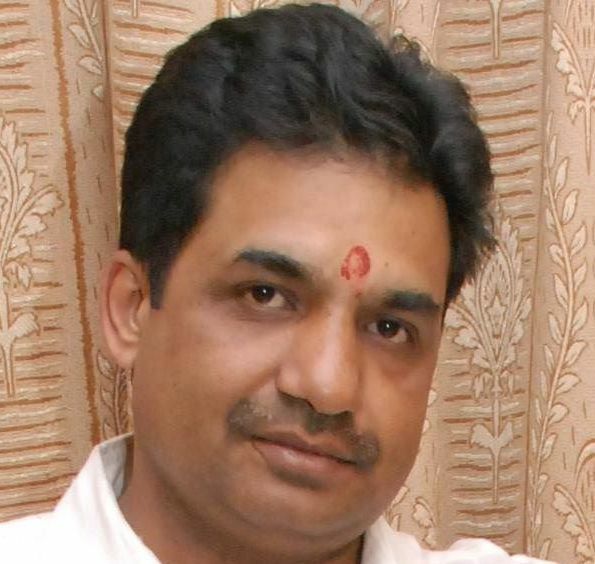 After the Bharatiya Janata Party (BJP), the Resident Welfare Associations (RWAs) in the city are alleging that the state is misleading the public with government advertisements. The advertisements issued by the state on Sunday pats the back of the government for having the cheapest power tariff among all metropolitan cities. The RWAs claim that the advertisements published are giving wrong statistics. The RWAs have written to the Lieutenant-Governor and the Lokayukta addressing their concern. The advertisement claims that while power tariff in Kolkata is Rs6.14 per unit, in Mumbai Rs4.70 and in Bengaluru Rs4.55 per unit, Delhi power tariff is Rs2.70 per unit. The advertisement also talks about benefitting 43 lakh people via its Rs900 crore annual power subsidy. The RWAs, however, allege that the Rs2.70 per unit is a false figure. “The actual cost per unit is Rs3.90. The annual subsidy of Rs900 crore that the government is giving to the discoms is actually our money, said Rajiv Kakria, the RWA president of Greater Kailash I. The state government also claims that the per capita consumption of power in Delhi is highest than any other city. However, data by the Power Finance Corporation of India reveals that Delhi is eighth in terms of per capita consumption of power. In terms of average billing rate, Delhi is at number 17, while Goa has the lowest average billing rate and Punjab the highest. “All this subsidy gimmick is a part of the votebank politics of the government. 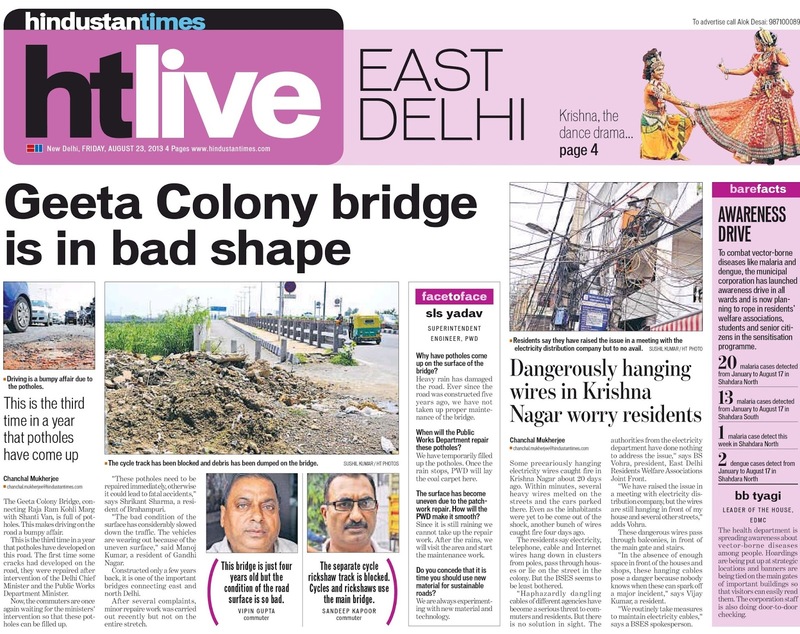 The government just wants to keep its voters happy at this point of time and has gone ahead with the subsidy and advertisements, said BS Vohra of East Delhi Resident Welfare Association. The associations feel that the Rs900 crore subsidy could have been used instead for creating health services, schools and drainage system. Formula to lower the Power Tariff ? Delhi BJP today said it will release a 10-point formula to reduce power tariff in its 'Bijli Rally' tomorrow and challenged Chief Minister Sheila Dikshit to implement it or else be perceived to be hand-in- glove with private discoms and DERC on power tariff hike. The party said it will reveal the formula to reduce power tariffs by at least 30 per cent in Delhi during its 'Bijli Rally', organised to protest rising power tariffs in the city. "If the Chief Minister does not implement this formula even after it comes in public domain, then it would simply imply that she is hand-in-glove with the private discoms and DERC in ensuring completely unjustified hike in power tariff," Delhi BJP Chief Vijay Goel told reporters. "Our party is committed to bringing down power tariff by 30 per cent. Those who are questioning it should know that if you have the right kind of intention and political will, then this is not at all difficult," Goel said. BJP national president Rajnath Singh, Leader of the Opposition in Lok Sabha Sushma Swaraj, her Rajya Sabha counterpart Arun Jaitley, Delhi election in-charge Nitin Gadkari and would also participate in the rally. Besides, Delhi election co-incharge Navjot Singh Siddhu and Leader of the Opposition in Delhi Assembly Vijay Kumar Malhotra would also take part in the rally. The party announced that it would implement a special package for lower income groups and people living in Jhuggi Jhopri clusters to provide them subsidised power with a fixed monthly bill. Goel said, "Logically, after privatisation, had the government allowed more players into power distribution, power tariffs would have come down due to market competitiveness. But that just didn't happen. People of Delhi want to know why?" He also said Delhi BJP will review the decision of Congress government and DERC to approve hike of 300 per cent in power tariff in coming days. Goel said this would be done by reviewing the decision to allow Regulatory Assets (losses of private discoms to be charged from common people through tariff hike) worth at least Rs 19,500 crore. "No private company would continue to run with such huge losses. 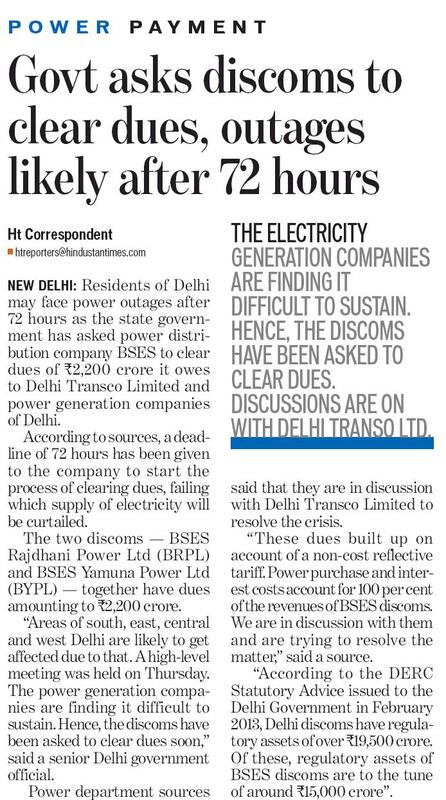 So, why these discoms are still operating even after such huge losses? Why haven't they opted out of the power sector?" "The fact of the matter is that these companies are actually making huge profits, they have been assured 16 per cent assured return. Their modus operandi is to take loan from banks on 10 per cent and get a return of 16 per cent on that investment," he alleged. "The discoms should have been buying bulk power at cheaper rates but instead, they are buying expensive power from their own companies. These high prices are then passed on to consumers. There is no transparency in the power purchase agreement. "DERC as well as Congress government is fully supporting this by not getting CAG audit done," he alleged. "We would like to know why there has been no CAG audit of accounts of these private discoms? And without audit, how can Congress government and DERC approve and accept claims of these companies?" he said. Goel also claimed that people were being duped by faulty electric metres at their homes which were over billing millions of consumers without their knowledge. He said the discoms have monopoly, so no consumer could dare to complain or challenge them "as they would immediately cut off the power supply". Individual consumers, with electricity being a basic necessity, continue to get robbed haplessly and find it difficult to challenge them individually, he said. "Adding insult to injury of the common man, we have a Chief Minister who instead of controlling the power tariff hike, tells them: If you cannot pay electricity bills, do not use AC or Cooler, just use a tubelight or fan! ", he said.